Leather grain binding and strong chipboard backing for easy hand-held use. Pinhole perforation to secure sheets until removed. 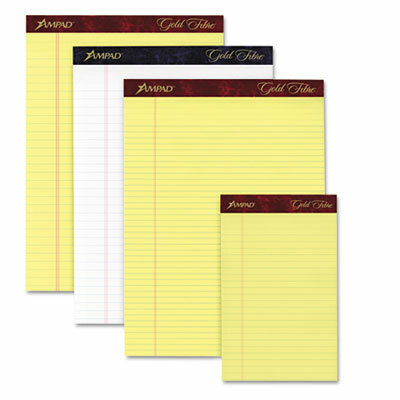 This watermarked ruled writing pad is extra smooth for superb writing. The pinhole perforated sheets allow for a clean tear. Leather grain binding.